There are several beautiful lights and lamps in the Living Room. In the corner are wicker lights and fairy lights around tree branches. 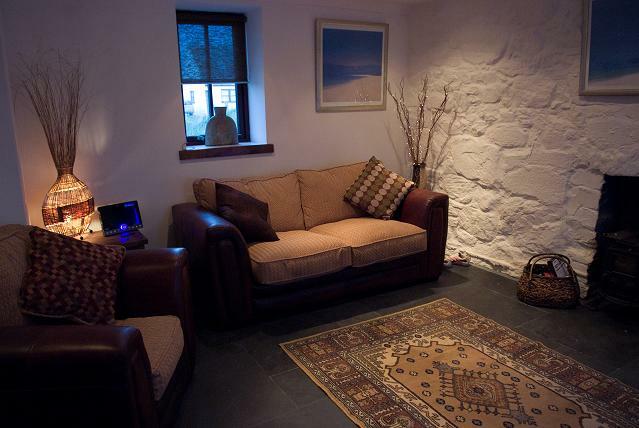 The chair and sofa are real leather and a traditional Scottish Rug covers the Natural slate floor. The perfect place to sit and relax on a Summer or Winter’s evening!